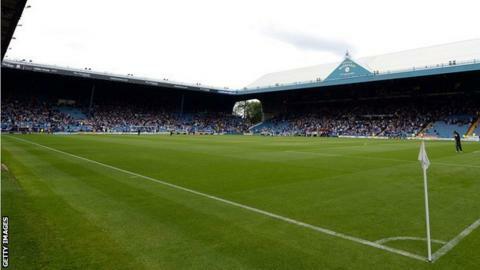 Azerbaijani businessman Hafiz Mammadov's proposed takeover of Championship club Sheffield Wednesday has broken down. The Owls announced the change of ownership had gone through on 10 June, but chairman Milan Mandaric has confirmed the deal is no longer on. "Our supporters were extremely excited when the takeover was announced," Mandaric told the club website. "Like me they believed Mammadov offered a great opportunity for the club." He added: "In hindsight my desire to please our supporters probably clouded my decision to grant further time for him to complete the process." Mammadov, founder of the Baghlan Group, also owns Azerbaijan side FC Baku and French top-flight club Lens. Former Portsmouth and Leicester owner Mandaric, who took over in December 2010, had been openly looking for someone to buy him out for some time, but always insisted he would only sell to someone who could invest in the team. "Whilst I hope that Mammadov will very quickly overcome his difficulties in Azerbaijan, I cannot allow this continued speculation to continue." Mandaric will now continue his three-and-a-half-year spell as Owls owner but will still be on the lookout for a potential investor. "The club as always will attract people who are interested in acquiring a top English football club. "I will explore every serious possibility and if I believe that there is someone who can accelerate our plans to return this club to the Premier League then I will do all in my power to welcome them to Sheffield."